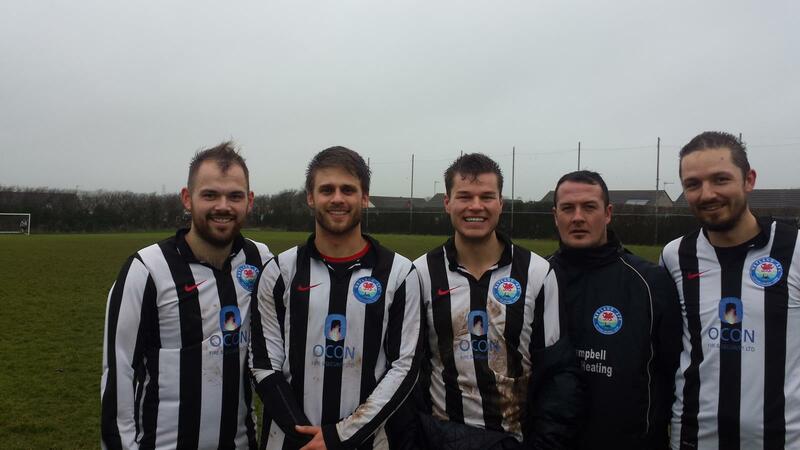 On Saturday, the 1st X1 entertained Pennar Robins in a First Division fixture at the Athletic Ground. Pitch conditions were just as bad as the previous week and the constant blustery wind did little to promote fast flowing football – or so it was thought! Within 40 seconds from the kick off a ball out wide to the left found Henry Durrant and he took the ball in his stride, cut in to the penalty box and let fire a thunderous shot which the keeper marginally touched but couldn’t hold and the ball hit the upright and deflected into the back of the net. Within 10 minutes, Wayne Parry rifled home a second and on 20 minutes Joe Charlton headed home a cross from the right to make it 3-0 to the Nomads. Wayne Parry was supplied a great ball to notch up his second before the interval. The second period of play witnessed more pressure from the home side with constant forays toward the Robins goal. However it was a rare break by the visitors which reduced the margin to 3 goals. Not to be outdone it was Henry Durrant who popped up again for Neyland’s 5th goal before Wayne Parry completed his hatrick. Parry then left the field for Andrew Smith. Durrant then completed his hatrick and was replaced by Nathan Warlow (who was in the starting line-up but mistakenly travelled to St. Clears unaware of the change of fixture). Phil Bevan then came on in place of Justin Harding and scored with his head from his first touch! And finally it was Andrew Smith’s turn to contribute to the tally to give a final score of 9-1. Team: Mikey Chandler, Andrew Kemp, Nicky Koomen, Nathan Banner, Sean Hannon, Scott Jones, Gary Power, Henry Durrant, Joe Charlton, Justin Harding, Wayne Vaughan-Parry, Nathan Warlow, Andrew Smith, Phil Bevan. 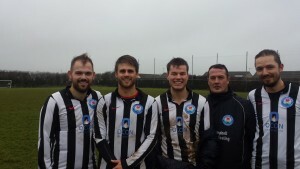 Pictures are the goal scorers: left to right Andrew Smith, Joe Charlton, Henry Durrant (3), Wayne Parry (3), Phil Bevan. Next Saturdat the 1st X1 is home to Johnston and the 2nd X1 is away to Pembroke Boro. This entry was posted in Sports on February 22, 2016 by admin.